Whether you’re a professional streamer or just looking to get started, Open Broadcaster Software is easily one of the best streaming services available. OBS is a powerful streaming/recording software that anyone can use. But why should you use OBS instead of a professional paid streaming software? Instead of trying to persuade you with our opinion, we went ahead and made a list of reasons why you should use OBS. Note: this is not a tutorial – this post was designed to highlight some of our favorite OBS features. Already use OBS? Click here for the best recording settings. In 2017, PC game streaming is incredibly popular. As a result, many companies attempt to sell software, hardware, or plugins that improve a streamer’s setup. For example, streaming services like Xplit (a competitor to OBS) charge $3-$5 per month for a software license. OBS is completely free without a premium version! That’s right, you can stream on a mac, linux, or windows computer without issue. Many streaming and recording tools only specialize in one operating system. Just look at the changelog. The life expectancy of annoying bugs is very short. Issues you didn’t even know about are most likely already being fixed. Open Broadcaster Software is easy to update as well. 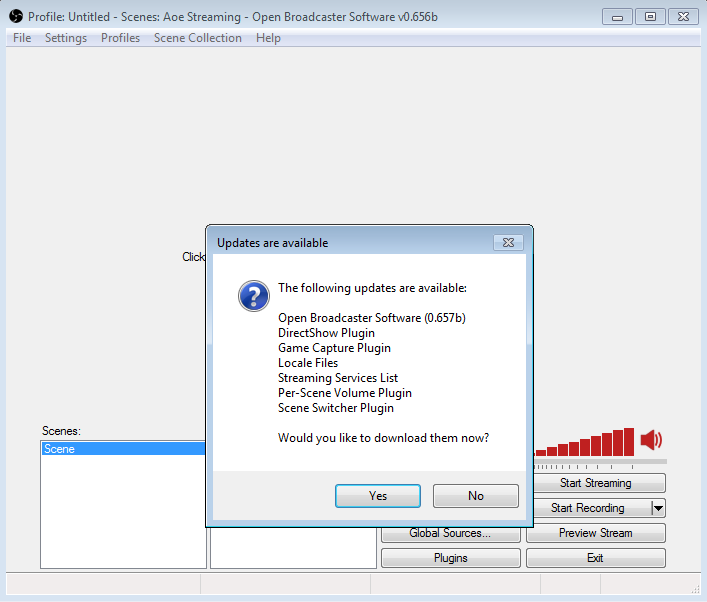 Whenever a new version becomes available, OBS lets you know and gives you the ability to update hassle-free. From simple scene switchers, TeamSpeak support, and OBS remotes to a status overlay, twitch alerts, and recording notifiers, the OBS forums have a useful set of plugins not provided by most other streaming services. Whether you’re an expert streamer who knows exactly how to tweak settings to optimize performance or have just started streaming and don’t know why you’re even using it, OBS has an easy user interface with advanced options. Don’t want to capture your entire screen? 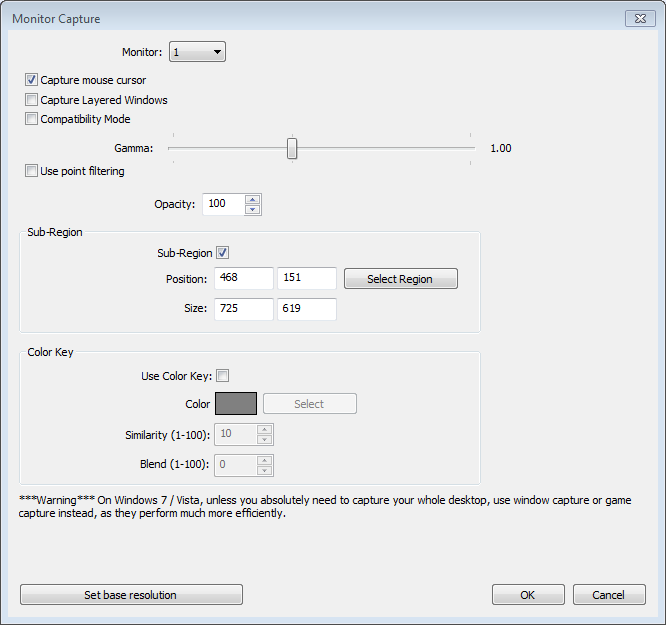 OBS lets you capture your entire screen, a single window, any game, any image, or even text. Although all of that sounds fantastic, what does it mean? The capability to record specific areas of your screen takes a lot of stress of your computer and gives your stream a professional appearance. Want to take a break from streaming? Display an image to let your viewers know you’ll be right back. Littered with powerful custom scene settings. Each individual screen capture you set comes with a variety of useful options. The ability to capture layered windows, block out a certain color, and record only a certain area of the screen allow the user to create useful, entertaining effects without having to edit the video or use an external editing software. Easy to switch scenes with. Switch scenes with a single click, or, stack the scenes on top of each other for a cool effect. 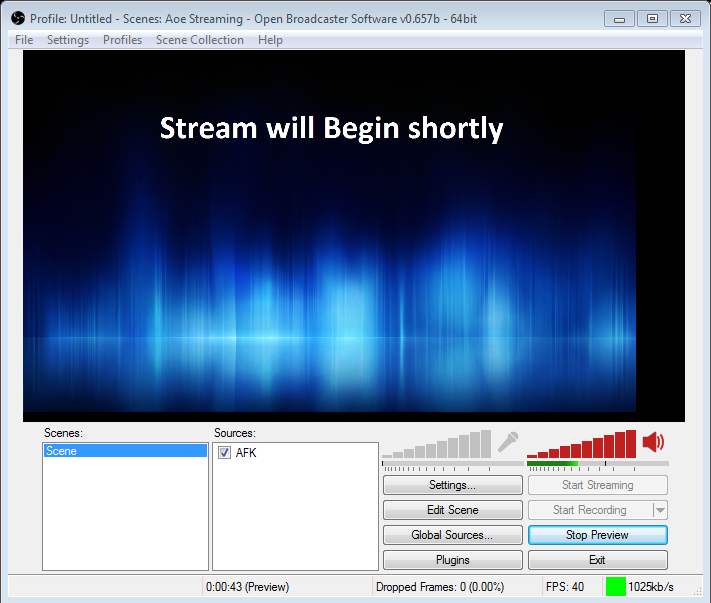 Open Broadcaster Software is a powerful, easy-to-use streaming and recording software, and although it doesn’t improve your computer, it certainly provides excellent performance and advanced capabilities.